St. Mary’s University School of Law alumnus Steven Michael Peña Sr. has donated $1 million to endow the first year of the School of Law’s cutting-edge Law Success Program, which equips law students with a suite of legal skills. Peña (J.D. ’94), shareholder with Davidson Troilo Ream & Garza, P.C., will also become a Practitioner in Residence at the law school to share his experience representing local municipal governments. 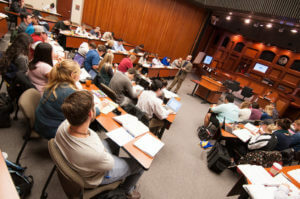 To equip students with the foundational skills necessary to achieve success on law school exams, the bar exam and to launch legal careers, the School of Law has created an innovative Law Success Program, which includes three years of curriculum, personalized instruction and assessment. “I appreciated the fact that they were willing to look under the hood … and see that there are some really, really talented people,” said Pena, adding that some of those students, like himself, may not have had thousands of dollars to take an LSAT preparation course. 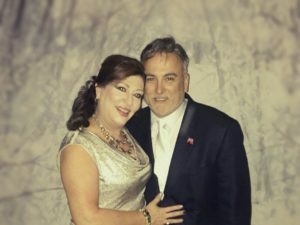 Because of the donation, the law school will rename the first year of St. Mary’s Law Success Program the Steven M. Peña and Claudia Fournier-Peña First-Year Success Program. The first-year experience begins with a robust orientation program that assesses each student’s capacity for technical reading, comprehension and critical thinking and introduces the skills and behaviors necessary for the study of law. Then, under the guidance of a first-year coach, who is a full-time teaching attorney, small-group cohorts will continue to learn together throughout the first year of law school. Using data-driven approaches for improvement, the first-year program will also help prepare law students for the traditional law school curriculum. More about Steven Michael Peña Sr.
Peña serves as the City Attorney for Cotulla and Special Counsel for the City of Cuero. He now spends most of his time representing his family’s partnerships as general counsel for 3C-C4 Family LLC and studying as he recently completed his first term of a two-year LL.M. program in wealth management. Peña has worked in and continues to practice oil and gas law, including negotiating oil and gas leases, surface use, pipeline easement and saltwater injection agreements for his family partnerships. He has negotiated numerous oil and gas pipeline easements with major mid-stream companies operating in the Eagle Ford Shale for the transportation of oil, gas, condensate and other marketable hydrocarbons. Peña holds a merit certification in municipal law and is a longtime member of the Texas City Attorneys Association. Peña previously represented numerous municipalities as city attorney for which he was heavily involved in municipal economic development, annexations, municipal court prosecutions and general governance matters in Bexar County and South Texas. He is a member of the Texas Bar College and the Dean’s Board of Visitors. In addition to his lawyering work, Peña operates a cow-calf ranching operation in Cotulla and is an avid game bird and deer hunter. He is a member of the Texas and Southwestern Cattle Raisers Association and the Red Angus Association of America.